Prior to shifting its focus to India’s Essar Group, VTB Capital was active in Mozambique, secretly arranging (together with Credit Suisse) loans for state-owned firms as well as a Eurobond issue. 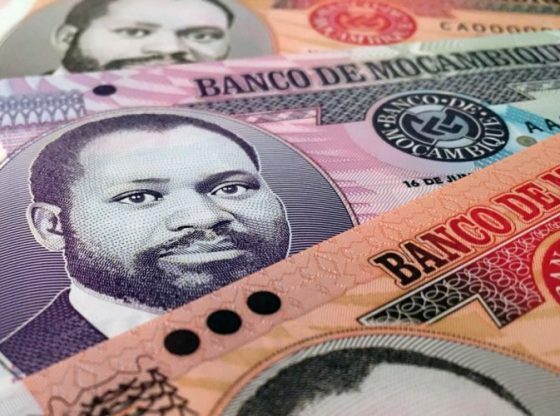 The $2 billion in dubious loans pushed Mozambique into default. Regulators in the US, UK and Switzerland are investigating VTB Capital and Credit Suisse. The US’s FBI, Justice Department and Securities and Exchange Commission, the UK’s Financial Conduct Authority and Switzerland’s financial watchdog FINMA are making inquiries into Russian bank VTB Group and Swiss bank Credit Suisse Group AG. Both banks have come under scrutiny after arranging loans totalling $2 billion with three firms (Ematum, ProIndicus and MAM) set up by the government of Mozambique and run by the country’s security services. The three companies had no revenue or contracts in place to suggest that they would generate revenue in the future. The debt carried a state guarantee. The deals with Mozambique were made in London in 2013 and included $622 million in loans to buy security equipment, $535 million in loans to build a shipyard and $850 million in bonds to buy a tuna-fishing fleet. London-based VTB Capital (subsidiary of the Russian VTB Bank) and the London branch of Credit Suisse Group arranged both the bonds and the loans. Mozambique is one of the poorest countries in the world. The $2 billion debt is equivalent to about half the national budget. The loan was deliberately hidden from Mozambican citizens, parliament, the International Monetary Fund (IMF) and Western donors. It violated the country’s constitution and budget laws and contravened debt commitments made to IMF. The money never appeared in national accounts. Discovery of the loans led the IMF and donors to suspend support for Mozambique, triggering the collapse of its currency and leading to a default on debt. Investigators from the New York-based intelligence agency established that VTB Capital and Credit Suisse took 10 percent of the loan in fees. The banks were paid a total of $199.7 million in fees on arranging the loans. The money came from the loan issues themselves. According to Kroll, VTB and Credit Suisse passed $140 million of the fees they received on the debt to syndicate lenders and investors in order to boost the loans yield. Banks’ feasibility study was founded on the assumption that Mozambique could sell its tuna for three times as much as the Seychelles. Some of the exclusive fishing rights included in the project had already been awarded to a South African company. Furthermore, the Kroll audit found that the money never reached Mozambique. VTB Capital and Credit Suisse sent it straight to a Middle Eastern contractor. Regulators, meanwhile, began probing VTB Capital and Credit Suisse. The US Justice Department and the Federal Bureau of Investigations are examining whether the banks facilitated corruption by enabling Mozambican officials to take money raised in the debt sales. The US Securities and Exchange Commission is seeking information from investors on the 2013 bond issue which was arranged by VTB and Credit Suisse on behalf of Mozambique. In January 2018, despite Mozambique’s debt crisis, VTB Group chairman Andrey Kostin (https://www.oligarchsinsider.com/) announced that he wanted to meet the country’s president “to persuade him to negotiate” the repayment of the VTB Capital loan. The banker also cynically commented on the ongoing investigations: “I do not think the FBI or any other entity will find any hint of irregularities”, Kostin said. “If they do, I would really like to be informed because we are really very concerned about the good name of our bank,” he added.